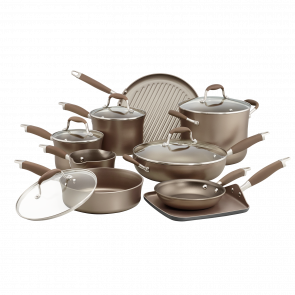 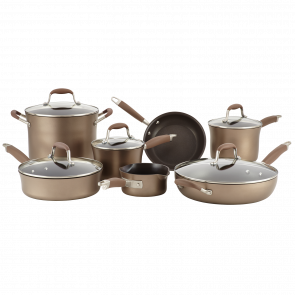 From preparing simple weeknight meals to entertaining family and friends, Anolon Advanced offers stylish cookware that provides fast, controlled cooking performance. 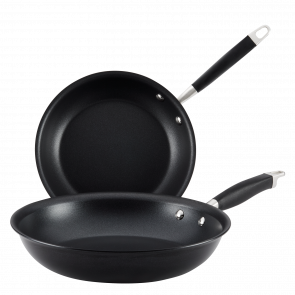 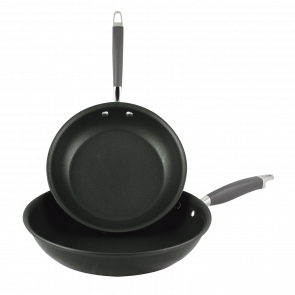 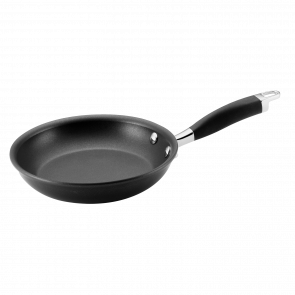 The exclusive multi- reinforced DuPont ™ Autograph®2 non- stick inside & outside the pan is designed to outlast traditional non- stick coatings for maximum food release and easy cleaning. 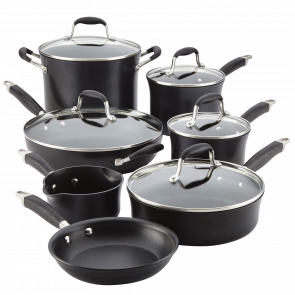 Coupled with a heavy gauge hard anodised construction for exceptional durability and heat distribution and Anolon’s exclusive Suregrip™ handles, Anolon Advanced is a winning combination for the most discerning home cook.